Coastguard rescue teams have been searching for a County Antrim woman who went missing on Saturday evening. 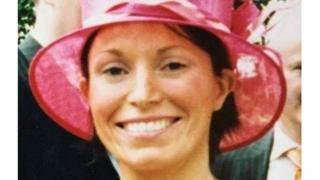 Nicola Murray was last seen leaving her home in Cushendall at around 18:15 GMT. Police said her family are extremely concerned for her welfare. The 43-year-old, who is approximately 5ft 3in and of slim build, was wearing a short red padded coat, dark blue jeans and a pink beanie hat when she disappeared. The Coastguard said they were made aware of a missing person at 21.51 GMT on Saturday. Rescue teams from Coleraine, Ballycastle and Larne were dispatched, and Red Bay RNLI lifeboat was launched in a search for Ms Murray. The search continued until 19:00 GMT on Sunday.